Richard Lane (OAM) 1918-2008 was one of the founders of the Australian Writers' Guild. Since having his first radio plays produced and broadcast at the age of eighteen he won no fewer than four AWGIES. He was an Australian writer (dramatist and playwright) known particularly for his skillful adaptation of plays and films for radio. 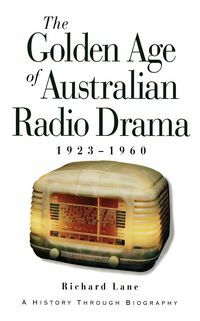 He is often called the father of Australian radio drama. His career spanned over 60 years, and he is recognised not only for his writing achievements but for his contribution to the Australian Writers' Guild. He also wrote for television, and was described after his death as "luminary of the Australian radio and television industries".